The rapper is unveiling his new record Magna Carta Holy Grail on July 7, but it will be available for free download to the first million Samsung Galaxy SIII, Galaxy S4 and Galaxy Note II users on July 4, with the Magna Carta app unlocking the album. However, Billboard has said it won't include the downloads, which Jay-Z is giving to Galaxy mobile phone users through a deal with Samsung. In a letter posted on Billboard's website, editorial director Bill Werde said it won't count the downloads because Samsung ultimately isn't selling the album on its phones. 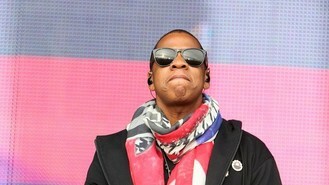 He added that it wasn't easy turning down Jay-Z's request to include the downloads on the Billboard chart. He said: "The passionate and articulate argument by Jay's team that something was for sale and Samsung bought it ... doesn't mesh with precedent."